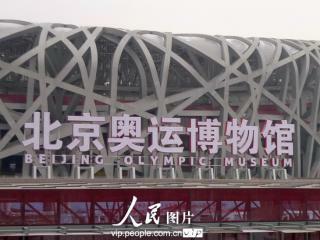 The two-story Olympic Museum will be located in the parking area beneath the Bird's Nest. Those properties and costumes used on the opening ceremony of Beijing Olympics 2008 and various sports memorabilia used in the Beijing Olympic Games will be collected in the Olympic Museum along with all kinds of records and digital documents, the total number of exhibiting items will be over 60,000. The winning concept celebrates the three themes of the Beijing Games – environment, science and technology, and China’s history and culture – as well as the history of the Olympic Games and China’s progress as an Olympic competitor since it sent its first Olympic athlete to the 1932 games in Los Angeles.